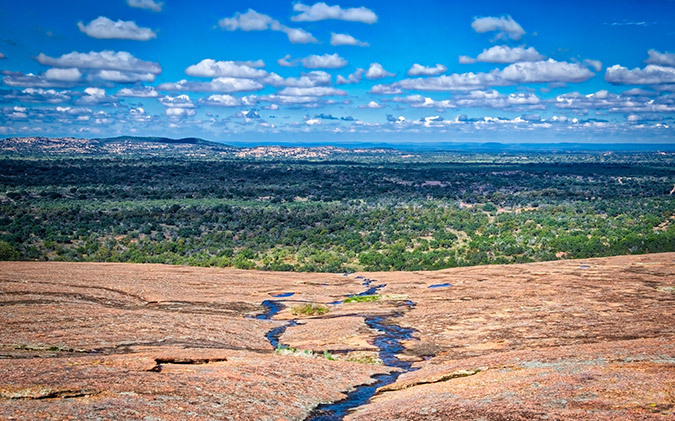 Join us April 10-18, 2019, as we team up with Victor Emanuel Nature Tours to visit the Texas Hill Country! In a state brimming with natural history and cultural attractions, few regions of Texas hold greater allure than the famed Hill Country and surrounding area. Late April is a marvelous time to be in Central Texas, with moderate temperatures prevailing and a landscape festooned in wildflowers. Shorebirds and wading birds are easy to find around area lakes and ponds, while a pageant of migrant hawks, flycatchers, swallows, vireos, and warblers is surging northward. Diversity will be a theme of this trip—diversity of natural history, landscapes, and culture. Several days will be dedicated entirely to birdwatching and nature while other days will include elements of history, culture, and sightseeing. On the schedule are visits to Enchanted Rock State Natural Area and Mitchell Lake Audubon Center. 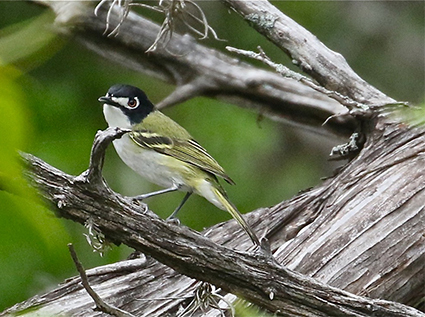 One of our field trips is specially dedicated to finding the two most sought-after birds of the region: the endangered Golden-cheeked Warbler and the recently delisted but still vulnerable Black-capped Vireo. 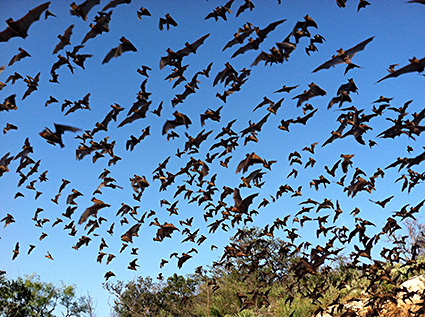 There will also be an excursion to the Frio Bat Cave to witness one of the continent’s greatest wildlife spectacles: the nightly emergence of nine million Brazilian (or Mexican) free-tailed bats. On the cultural front, our itinerary includes an afternoon at the Lyndon B. Johnson Presidential Library in Austin, a stop at a native-seed wildflower farm followed by wine tasting at a Hill Country winery, a chance to explore Texas’s German-American heritage in attractive Fredericksburg, and a grand finale trip to the Alamo in San Antonio. A representative from BirdNote will be hosting this trip. Guiding our activities will be Kitty Coley and Erik Bruhnke from Texas-based Victor Emanuel Nature Tours. We are pleased to announce that a non-tax-deductible portion of the proceeds go toward the support of BirdNote’s programs. Crested Caracara: Mexico's National Bird? Not Quite, but Close.